Lucifer personifies humanitarian goodness and enlightenment. All other characterizations of Lucifer are blasphemous and inaccurate. Put very simply, Lucifer is the Self choosing to be ruled by Love rather than Fear. Therefore, Luciferian consciousness is in league with the ‘feminine’ right hemisphere of the brain. Be it represented by the Yin of the Yin/Yang, the Chalice of the Chalice/Blade, or the Spirit of Napoleon’s Spirit/Sword. Of course there are many other representations of theses two eternal polarities which exist in all matters. In the Sumerian stories Lucifer is commensurate with Enki, the creator of humanity. 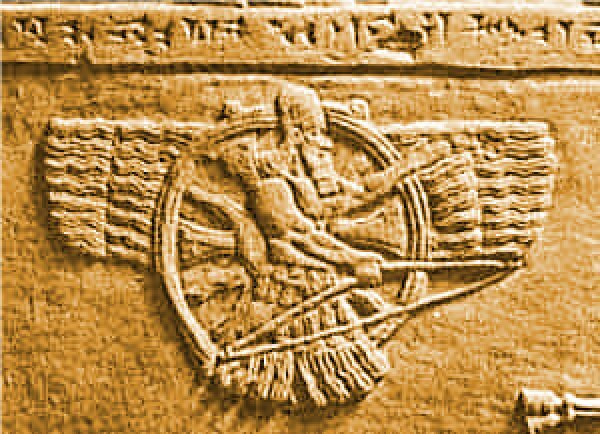 While facing much opposition from his malevolent brother Enlil, who is representative of left brain patriarchal consciousness, Enki saves enlightens humankind in the Garden, clothes them after Enlil drives them out, and saves humanity from the Deluge with which Enlil attempted to destroy humanity. The God of the Old Testament is a composite character formed by combining these two forces. Good and evil must exist in an interlocked package. One is defined by the existence of the other. Therefore, an age of Lucifer will be an age of enlightenment. Enki, and therefore Lucifer, is set to regain his rightful prominence in the Aquarian Age which is now dawning. Tyranny will be replaced by humanitarian concern, and left brain concerns—such as finance—will be subservient to human needs. The Enlilite forces which have ruled for so long will be opposed to these ends, but they are no match for the gravity of destiny. The New Serpent of creative consciousness will not fit in the old skin of existing institutions.